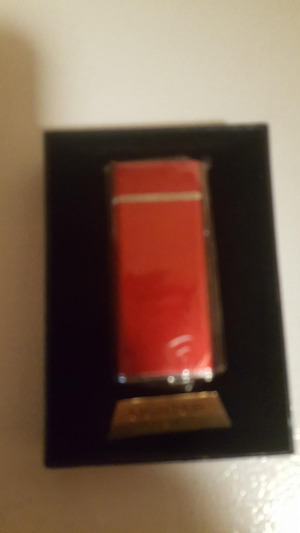 These usb rechargeable lighters are very nice and available in several colors. USB rechargeable lighter without butane or chemicals fuel,it is windproof and environmental. 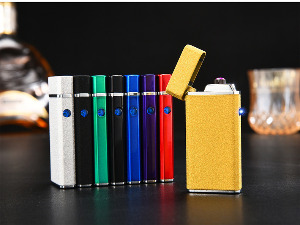 Dual arc plasma lighter has a safety feature,it will not igniting when the lid is closed. Please keep away from face,body,clothing,conducts electricity metal or any other flammable materials. 1:No flame,No butane,No gas,No fuel,No hassle. 2:Solid corrosion resistant alloy construction with indicator light. 3:Dual ARC that is much effective and powerful than cheap single ARC lighter. 4:4 elegant colors are optional to suit any fashion occasions as you need. 5:Comes with a USB recharging cable (under the box inner frame)in an elegant gift box making it as a perfect gift for father or friends. 7:Last up to a week or around 100-200 times igniting per full charged(1.5 hour charging time). 8:Indicator light at the bottom that turns on while the lighter is in use or being recharging. 1* Rechargeable Plasma dual arc Lighter.